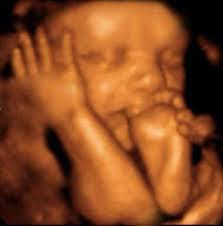 — Polly Toynbee, “On abortion, the media need to reflect what is happening in the real world” Guardian August 31, 2014. Toynbee apparently supports killing the baby even if the child could be raised in an artificial womb. Even if the mother didn’t have to carry the baby in her womb, this pro-choicer still thinks abortion should be available. This implies that the purpose of an abortion is not to end a woman’s pregnancy, but to ensure that her baby dies—that the right to “not be a mother” entails the right to kill the child, whether or not the child needs the mother’s body to survive.